Polyethylene foams are more of a closed-cell nature and generally not used for applications such as furniture cushioning or bed mattresses. However, polyethylene foams are an excelllent choice for such applications as tumbling mats, crash pads, surface protection, packaging and other applications where you may have high impact or extreme repetitive flexing. 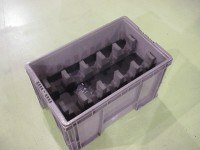 There are also a wide varity of lower density (weight per cubit foot) polyethylene foams on the market which are used for light-weight packaging applications such as an separator pad for china. 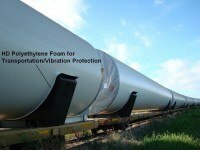 Polyethlylene foams are available in varying densities and colors and most are water and chemical resisitant depending on the product choice. 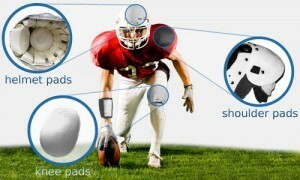 American Excelsior can fabricate, mold, compression cut and laminate componet parts to most of polyethylene foams.